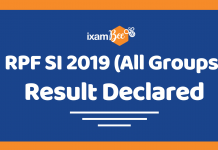 Home Exams RBI RBI Grade B 2019: How To Increase Your Chances of Success? RBI or Reserve Bank of India is the ‘central bank of India’, which is famously called the bankers’ bank. 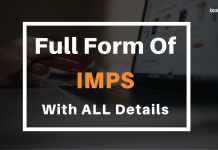 It is one of the top most financial organizations which is entrusted with the responsibility of stabilizing the economy and check the money flow along with keeping a check on inflation. RBI plays a very crucial role as far as India’s economy is concerned. Every year RBI gives a golden chance to eligible graduates who are interested in making a career in this esteemed organization, by applying to the post of RBI Grade B Officer and RBI Assistant. These are two major job posts through which RBI opens its gates for the candidates looking for opportunities. RBI being the topmost banking institution, specifies a particular eligibility criteria for both the posts which can be checked once the official notification for RBI Grade B 2019 is out. For all those who are willing to make an excellent career in the banking industry, working in an organization like RBI seems a fairly good choice. But, while making preparation plans for your career, it is also necessary to ponder over the very important question of ‘What if You Fail?’ While making a preparation plan, you need to be concentrated enough to focus on your goal, but you should always have a back-up plan with you, if by any chance you don’t succeed. Being optimistic is good but turning a blind eye towards some unexpected possibilities is never going to be a good idea. While making plans for your bright career, you always need to be prepared for all kinds of challenges that may be thrown at you in your career path. In the making of a good career, you always need to have a Plan ‘A’ and if that doesn’t work, in that case have a Plan ‘B’ too. Plan B is a wiser strategy when it comes to making a career by opting the exams like RBI Grade B, in which number of vacancies and time of the notification both keep on varying. You cannot therefore put your career at stake in such a case where things are so uncertain. 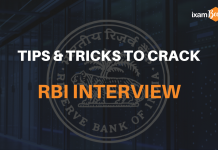 While you will be preparing for RBI Grade B in advance, that preparation will assist you well when you decide to appear for other exams as well. 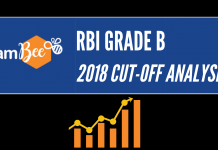 To give more clarity and better understanding of this idea of having a back-up plan alongside, we have penned down a list where you may find good options that can work as favourable alternatives, in case you do not succeed in RBI Grade B Examination. NABARD is the apex lending institution in the agriculture and rural development sector. Working in NABARD gives you a good chance to work in the field of ‘Development Finance’. NABARD gives opportunity to the eligible candidates by releasing vacancies for Grade A & Grade B posts. Both the jobs provide equal career opportunities and a bright future. If we compare RBI & NABARD from the point of view of salary, both the jobs provide equal salary and allowances. If you join NABARD as Grade A Officer, you have bright chances of getting promoted to NABARD Grade B Officer followed by other levels. From the exam point of view,the Phase I of both RBI Grade B & NABARD Exam consist of Quantitative Aptitude, Reasoning, English and General Awareness, except and additional test on Computer Knowledge in NABARD Exam, which does not include any high level questions, so nothing to worry here. The Phase II of both these exams also contain almost similar syllabus for Economics & Social Issues and Descriptive English tests. The only difference in the Phase II of both the exams lies in the subject of Agriculture and Rural Development. SEBI is the regulator for securities market. Being entrusted with such a big task, it therefore holds a very esteemed position in the financial sector and among the sincere job aspirants. It is one of the top organizations functional in the Indian market that provides great work opportunities and an ever-growing career ahead. With the development and integration of financial markets, the importance of SEBI-like organizations is growing fast. Working with SEBI provides you the perks and benefits equal to what you may receive while working in RBI. The work exposure you will receive working in SEBI would be quite relevant to the current market scenario. The salary and other benefits are also close to what you may receive as an RBI Grade B Officer. 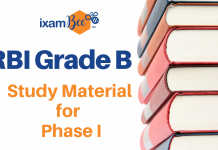 Talking about the selection procedure, the Exam Pattern of SEBI Grade A Phase I is similar to that of RBI Grade B, except one additional test on securities market. The other subjects similar to RBI Grade B are: General Awareness, English Language, Quantitative Aptitude & Reasoning. In the Phase II exam of SEBI, contains three papers : Securities Market, English Language (Writing Skills) & ESI ( Economic & Social Issues) & FM (Finance Management). Here, the third paper of ESI & FM covers the entire syllabus of RBI Grade B. The only difference in SEBI would be the level of questions. The questions on Securities Market in SEBI Exam would not test in depth knowledge as compared to RBI. 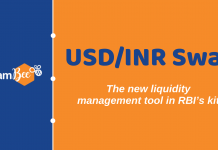 If you are known to RBI Grade B Exam and have been preparing for it, the syllabus for Securities Market will not feel entirely new as a lot of it is covered in RBI’s Finance syllabus. The additional preparation will only include the additional focus on the issues related to SEBI and development on Securities Market including legal issues. Shifting your focus from the higher financial organizations to banking sector can also prove to be a favourable choice. Opting for the job of a PO (Probationary Officer) in banks like SBI and through IBPS proves a fair choice for all eligible graduates as banking gives you a secure and promising job. Apart from Bank PO, SSC CGL is also a favourable option for all those who are striving hard to secure a job in the government sector. A Bank PO is recruited in a bank branch where he/she will be responsible for smooth workflow, whereas SSC recruits eligible candidates in various government departments and ministries. Choice is yours to make! Bank PO gives you a dynamic work environment and fast promotions while SSC gives you a job with less work pressure and more power in certain departments. The preparations for both Bank PO & SSC CGL is quite similar to the Phase I of RBI Grade B. There might be a slight difference between Bank PO & SSC CGL Exam,as in for Bank PO the level of questions in General Awareness will be easier and for SSC CGL Examination, you will have to study static GA (History, Polity, General Science, etc) and advanced Mathematics (trigonometry, mensuration, algebra, etc). If we compare the pay & benefits in both Bank PO, SSC CGL with RBI Grade B, there is a slight difference. RBI being a higher organization, naturally rewards it employees in a much better way. But, if you are looking for a good job in public sector organizations, you can undoubtedly go for jobs in the banking industry and SSC. If you are too keen to grab a job in RBI, you can always take up a job in a bank and continue with your RBI preparation. 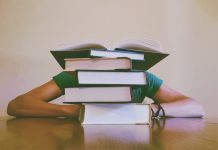 After reading this, you can probably get a fair idea that it is always beneficial to prepare for more than one exams and keep good backup plans with you. The preparation will be almost similar in all the exams and the different parts of the syllabus can be studied soon after the notification gets released. Prepare for failure as much as you prepare for success!! Read more about – What it is like to be an RBI Grade B Officer?